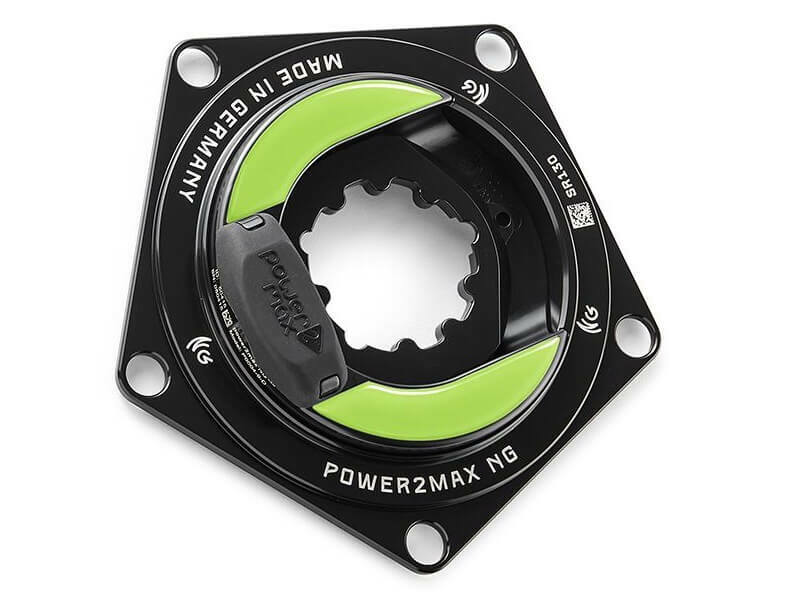 Accurate and affordable power2max NGeco power for your SRAM road crankset! The NGeco is the newest model in the power2max line-up. With features such as dual leg power measurement, ANT+/Bluetooth SMART compatibility and left/right power balance, the power2max NGeco SRAM Road Power Meter comes fully-loaded. In addition, the NGeco is accurate to +/- 2.0% in all environmental conditions and is easy to use with features such as auto-zero and accelerometer-based cadence measurement. In fact, there is no other power meter that provides dual-leg power measurement plus these other features at only $490! BCD: The power meter is available in either a 110 or 130 BCD in order to fit your choice of chainring sizes. 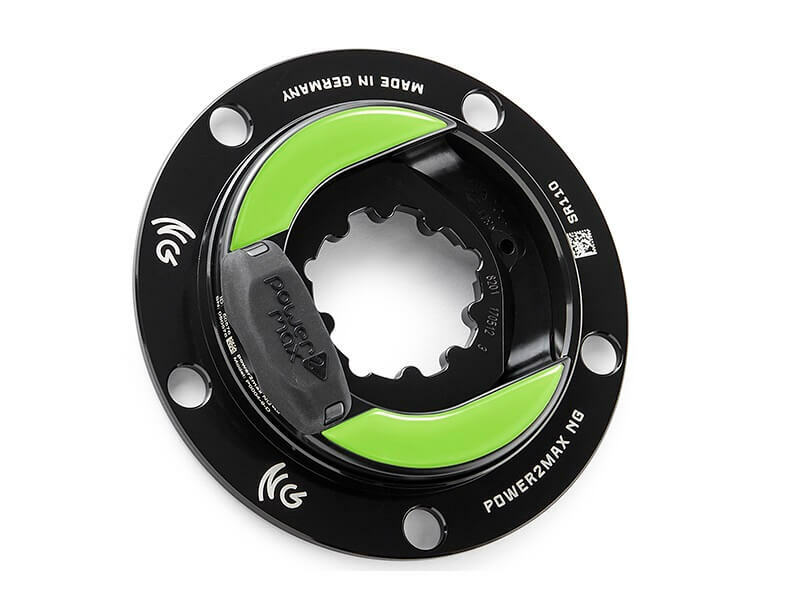 The power2max NGeco SRAM Road Power Meter is compatible with SRAM S-900, Force 1, Force 22, Rival 1, Rival 22 and CX1 cranks with a 3-bolt interface. Installation requires that you simply remove your existing crank spider and install NeGeco in its place. Please contact us with any questions. Not compatible with SRAM Red cranksets. Love the power2max NGeco SRAM power meter. Super easy to install and use. Works every time with no issues. Plus Power Meter City has great prices and ships fast. Thank you. Hi Jeff. We’re stoked to hear you’re enjoying the P2M. It’s such a great power meter and the price on them is awesome. Thanks again! Amazing customer support! I was routinely updated on the progress of my P2Max as Power Meter City did their best to mail me the power spider as quickly as possible. I am extremely grateful for their extensive knowledge, making sure I had the exact item I needed. Works flawlessly when compared to my other power meters! Definitely the best place to get a hookup on watt-meters. Hi Jeevan. The p2m units rock – they really do. You get consistent, reliable, dual-sided power at a great price. We appreciate you being a great customer and hope you continue to enjoy it! Excellent service and product from PMC. Josh and team are super responsive, went through extra measures to make sure the PM was compatible with my bike a I’m loving the PM itself. Just completed my first race (Barry Roubaix 62 mile gravel race) with the PM installed and it was so nice to have the power data available in order to pace myself as needed for this endurance event! Hi Rick. Thanks for the review and I’m glad your power2max SRAM is working as intended. Keep up the nice work!